Hefti’s oeuvre encompasses some 60 works, including orchestral, vocal and chamber music. He has composed large-scale orchestral works, solo concertos, works for chamber orchestra, string quartets, solo pieces, song cycles and an opera. He is currently completing his symphony Beziehungsweisen (“Interplays of relationships”), of which three movements have already been performed. Hefti has enjoyed a working relationship of several years’ standing with artists such as Viviane Hagner, Christian Poltéra, Hartmut Rohde, Baiba Skride, Jan Vogler and Antje Weithaas, who all regularly perform his music. 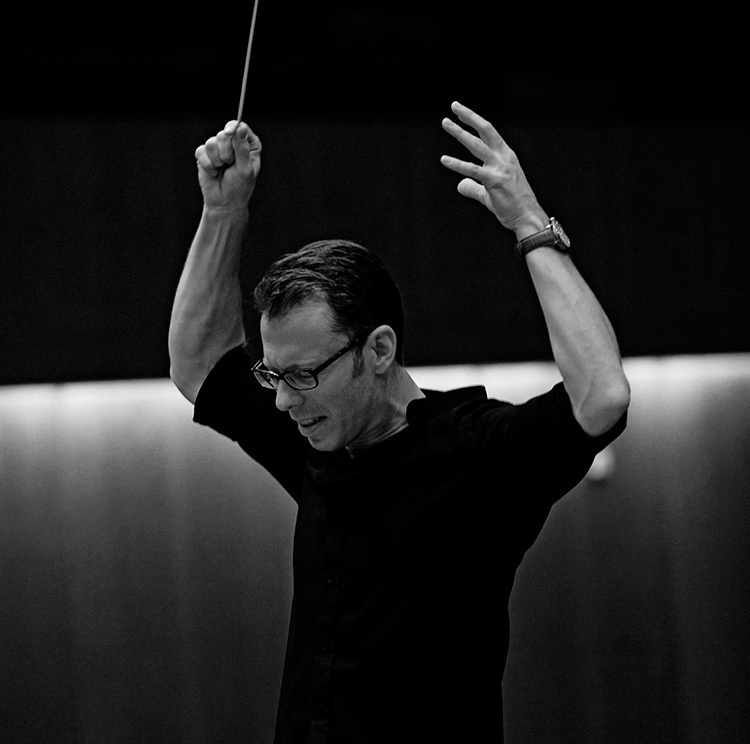 Hefti has worked with numerous orchestras and ensembles including the Zurich Tonhalle Orchestra, the Bavarian State Orchestra, the Symphony Orchestra of Bavarian Radio, the Deutsches Symphonie-Orchester Berlin, the Orchestre symphonique de Montréal, the Tokyo Sinfonietta, the Ensemble Modern, the Amaryllis Quartet and the Leipzig String Quartet. His orchestral works have been performed by conductors such as Peter Eötvös, Cornelius Meister, Kent Nagano, Jonathan Nott, Michael Sanderling, Mario Venzago and David Zinman. He has been invited to music festivals such as Wien Modern, Beijing Modern, Ultraschall Berlin, Lucerne Festival, Gstaad Menuhin Festival, Schleswig-Holstein Music Festival, Heidelberger Frühling, Pablo Casals Festival in Prades, Dvorak Festival in Prague and Suntory Festival in Tokyo. In 2013, Hefti was awarded the Composer Prize of the Ernst von Siemens Music Foundation and in 2015 the Hindemith Prize of the Schleswig-Holstein Music Festival. He has also won the International Composition Competition of the Pablo Casals Festival in Prades, the George Enescu International Competition for Composition in Bucharest and the International Gustav Mahler Composition Prize. Hefti’s works are published by Edition Kunzelmann and Edition C. F. Peters and have been recorded for CD by various labels. When his CD Changements was released, the Neue Zürcher Zeitung praised his “excellent mastery of the orchestral apparatus, both as composer and as conductor”. In May 2017, Hefti’s first opera, Anna‘s Mask, was given its world première at the St. Gallen Theatre. It is based on the true story of the Swiss singer Anna Sutter, whose life tragically mirrored the fate of her own star role, that of Carmen: her former lover, the conductor Aloys Obrist, murdered her in 1910 in Stuttgart. David Philip Hefti’s musical language, which is characterised by transparency, a chamber-music intensity and a concentrated sense of dramaturgy, is also manifested in this, his first opera. The Neue Zürcher Zeitung wrote as follows: Anna’s Mask: Luminous ecstasy – and this is the point of it – is no betrayal of Hefti’s aesthetic stance, which otherwise tends to fragile, pointillist drops of sound solidifying into chordal structures. David Philip Hefti is currently working on several new compositions that will be premièred in the 2018/19 season. After his first opera, Anna’s Mask, he is now busy with his second music-theatre piece, The Snow Queen, based on the eponymous fairy tale by Hans Christian Andersen and commissioned by the Zurich Tonhalle Society. The semi-staged world première of this musical tale for the whole family will take place on 11 November 2018 in the Tonhalle Maag in Zurich. The title role will be sung by the soprano Mojca Erdmann, while the Zurich Tonhalle Orchestra will be conducted by David Philip Hefti himself. Hefti is also continuing with his four-part cycle Nocturnal vigils, whose starting point is the Roman vigils of the church. The first part, Prima nocte for chamber orchestra, was given its world première in February 2018 by the Lausanne Chamber Orchestra under Kazuki Yamada. Two further parts will follow in the coming season: Concubia nocte, Music for the second nocturnal vigil for string quartet, will be given its first performance by the Merel Quartet at the chamber music festival “Zwischentöne” in October 2018. The third piece, Media nox for flute and orchestra, will receive its world première at the Heidelberg Spring International Music Festival in April 2018, performed by Tatjana Ruhland and accompanied by the German Radio Philharmonic Orchestra under the baton of Jamie Phillips. David Philip Hefti’s cycle explores the sounds of twilight, the night, dreams and sleeplessness, creating sound-surfaces alternately static, animated and iridescent that impel rhythm and melody into the background. The result is a microtonal music. Find further information on www.hefti.net. Not be altered without permission by PR² classic. Follow David Philip Hefti on Twitter! Follow David Philip Hefti on Facebook!